We believe that art and design play a critical role in creating public platforms for dialogue, interaction, civic participation and social engagement. 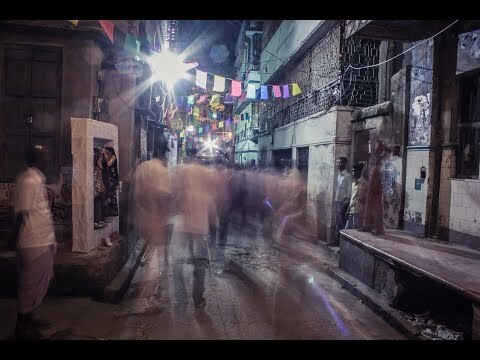 Our pilot project Chitpur Local has brought together artists, students, local residents and craftspeople of one of Kolkata's most historic localities to develop a cultural hub and and activate a new creative economy. Feel free to ask Hamdasti for a new update on this Fundraiser. 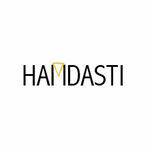 Hamdasti, meaning ‘partnership’ in Persian, is a non-profit arts organization based in Kolkata, India. We build collaborations between artists and communities as we believe that art can play a critical role in helping people build new relationships, connect to their environment and their city, and collectively imagine new possibilities for the future of their communities. Since 2013, through our project Chitpur Local, we have been working with different communities along Chitpur Road, one of Kolkata's oldest and most historic localities with a rich cultural heritage. A collective of 10 artists have been working with students, residents, crafts people and shop owners of Chitpur Road to develop art projects that explore and highlight local histories, stories and traditions, at different community spaces, including schools, libraries, heritage homes, craft studios, and even the local police station! Every 3 years, these collaborative projects culminate in an art festival, where the lanes come alive with art, addas (discussions) and different cultural events, bringing new visitors to the locality and re-activating Chitpur as a vibrant creative hub. The first edition of the festival in 2015 inspired the creation of an archive at a historic local school, and the development of products and collectibles based on the local craft traditions that are now being retailed across the city. 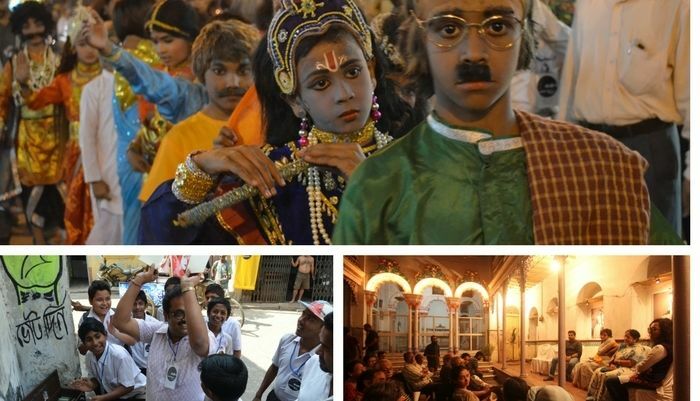 ‘Tales of Chitpur’ is the second edition of this unique community-led art festival, and will be held in public spaces across this historic locality, from February 23rd to 25th, 2018. This year, more people from the community have joined the artists to develop 8 projects in order to share their stories, and reveal different facets of their neighbourhood. For community members and visitors alike, it will be an opportunity to experience this locality in a completely new way and see it from a fresh perspective. Through public art, walks, films and music, ‘Tales of Chitpur’ will not only showcase the diverse histories of the locality, but will also address the critical issues of its present, and create a platform to create new imaginations for its future. We have raised partial funding from the prestigious India Foundation of the Arts to cover the production costs of the artworks. We have also secured sponsorship from The Telegraph for publicity and press coverage, and have got government partners on board to manage local logistics. 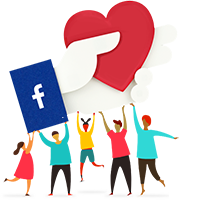 However, we need your help to create greater community engagement, bring more audiences to Chitpur, and make a deeper impact. With a bit of help from you we can continue to sustain the efforts to make a lasting and positive impact. Your message will be directly emailed to Hamdasti and you will receive his/her response on the email address entered below. Collection of digital images and wallpapers. A collection of digital images and wallpapers for your computers or mobile phones from Chitpur and the festival. A gift bag of Chitpur Local Products, including postcards and a notebook featuring local art works. a gift hamper featuring unique crafts.